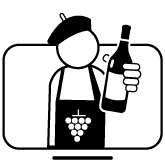 Accueil > Le vin pour les nuls > How to open a wine bar ? How to open a wine bar ? Have you ever thought about opening a bar ? For wine lovers, it would be a wine bar ! Make your dream comes true by opening a wine bar thanks to Les grappes’ advice. In this article we will see the different key steps for an opening and a proper wine bar management. A paper as useful for neophytes as for professionals. Before starting, you have to clearly identify your project, by developing a concept on which your bar will grow. You have to figure out how your company is going to distinguish from others : you have to be different to differentiate from direct competitors like other drinking establishment, and also from indirect competition like home consumption. You have to create a new and original bar. 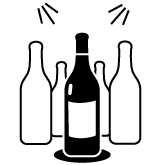 For example, you can specialise yourself in a type of wine, organic wines, red wines or on some crus. Indeed, it is the product which is original. However, you always have to keep in mind your company’s profit, therefore try to target a wide audience. 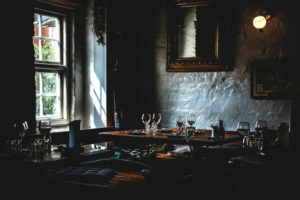 An other way to distinguish would be to play on the atmosphere’s originality of your bar by organising events like wine tasting or wine initiations. You have to pique your clients’ curiosity and then seduce them by your company’s originality. The concept allows the first realization of your wine bar. – Choose crossing points, such as the city center for exemple. The rent will be more expensive, but your company well be known and visited.